Gurudas : Street sankirtan started in New York, but for us it began on Lord Chaitanya's Appearance Day. We were told to go to the temple and alternate between kirtan, japa, and reading the scriptures. After about three or four hours, Jayananda, Jivananda, Uddhava, and I thought, "Let's take this outside." Chanting, we went around the corner to Willard Street where Prabhupada was staying. Prabhupada came to the window and motioned to us. We thought, "Oh, no. He is telling us to go away," and we started back to the temple. 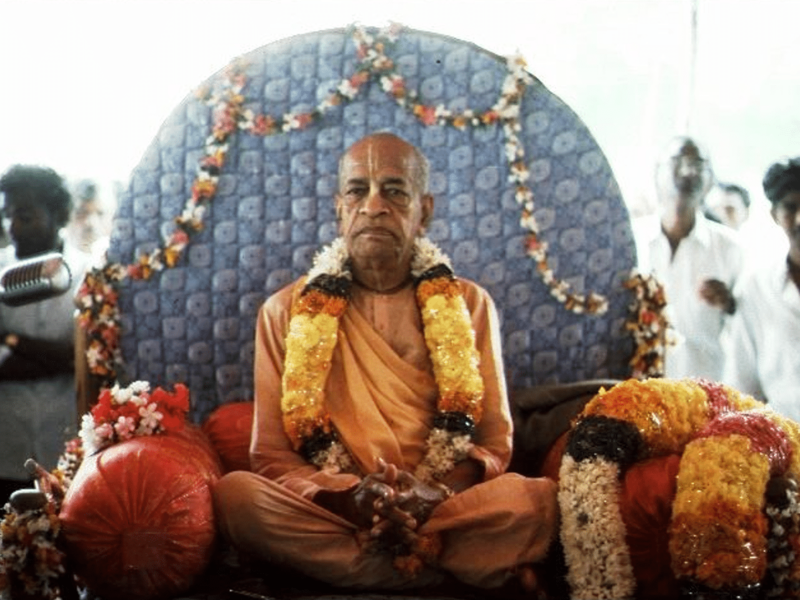 Upendra, Prabhupada's servant came storming out and said, "No, no. That's the Indian way of saying 'Come here. Come here.'" We went upstairs, and Prabhupada said, "Krishna has given you the intelligence to chant in the street. Now I want you to do this every day." Street sankirtan, harinam, started for us as of that day.